So, with life being crazier than usual (or maybe it's really just the same amount of crazy), I decided to have a more simple sort of dinner today. Simple in a lot of ways. Simple to make. Simple to eat. Simple to enjoy. I started out with some sirloin steaks and a head of broccoli and ended up with a pretty fabulous take-out fake-out meal that was quick, easy, and delicious. With keeping this simple, I thought that instead of having rice, I would rice my broccoli. Why not? I've made cauliflower rice before, and broccoli is pretty similar texturally. Plus, it goes so well with beef! To really get that bold authentic Mongolian flavor that I was looking for, I marinated my sliced steak in the NEW P.F. Chang's® Home Menu Mongolian Sauce. It's great for marinating, dipping, and cooking. So, today I used it as not only a marinade, but also during the cooking! We're talking layer on layer of flavor. By using the P.F. Chang's® Home Menu Mongolian Sauce, I got the flavor that I wanted without all the complicated steps. It's Authentic Cuisine made easy! I didn't have to labor for flavor in the kitchen for hours to create a sauce. Nope! This sauce right here is already delicious; a little sweet, mostly savory, and just the right amount of heat. Yum! I really can't wait to make this again. I love the twist on this 'beef and broccoli' where the broccoli is the 'rice'. And trust me when I say that you won't miss the actual factual 'rice' at all. 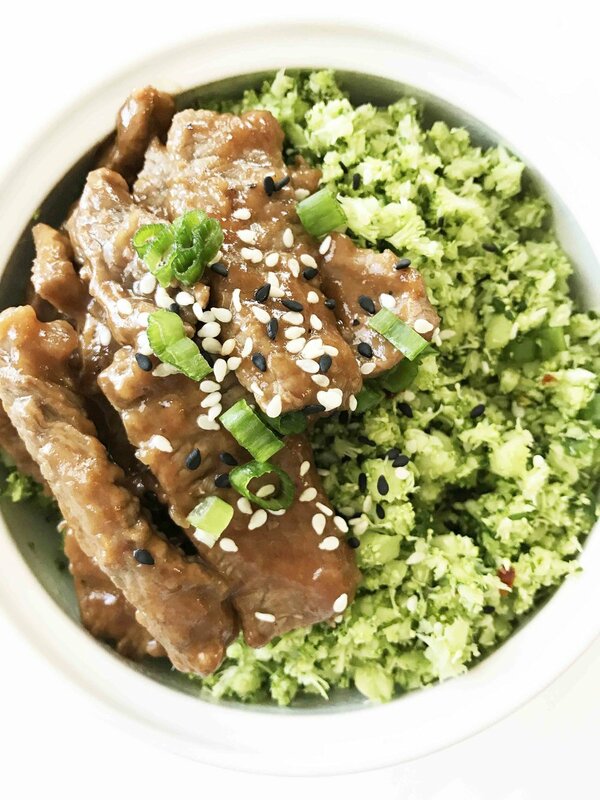 This Mongolian Beef & Broccoli 'Rice' Bowl is perfectly filling and couldn't be more simple to make. The convenience of the P.F. Chang's® Home Menu Mongolian Sauce makes this a perfect weeknight dinner! Slice the meat thinly and place it into a sealable plastic bag along with 1/4 C. of the P.F. Chang's® Home Menu Mongolian Sauce. Toss to coat the meat evenly with the sauce and place the bag into the fridge to marinate for at least one hour. When the meat is nearly done marinating, start preparing your broccoli rice by placing the 4 C. Fresh Broccoli Florettes, 1 Tsp. 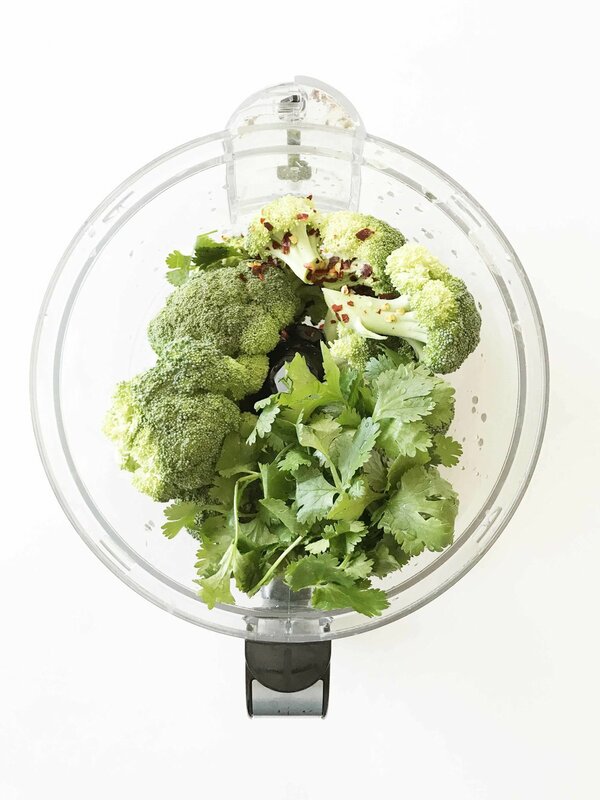 Crushed Red Pepper Flakes and 1/4 C. Fresh Cilantro into the base of a food processor; pulse to 'rice' the broccoli. Transfer the broccoli mixture and 1 Tbsp. water to a medium-large microwavable bowl with a vented lid; cover and set aside. 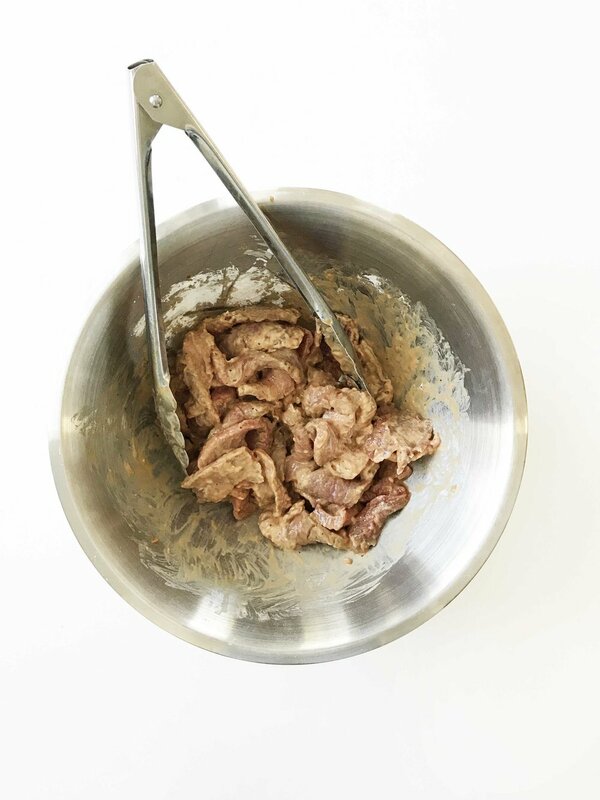 Once the meat is marinated, remove it from the bag to a medium size bowl and toss to coat it in the 1/4 C. cornstarch. Heat a large skillet over medium-high heat and lightly coat it with non-stick cooking spray and 1 Tbsp. extra virgin olive oil. Transfer the beef to the skillet and cook for a couple of minutes on each side until the steak is cooked through. Add in the remaining 1/4 C. of the P.F. Chang's® Home Menu Mongolian Sauce and continue to cook for one minute. While the steak is finishing cooking, place the bowl of broccoli into the microwave for 45 seconds to 1 minute. Divide the broccoli rice evenly among 4 bowls, followed by the cooked Mongolian beef. Top each bowl with green onions and sesame seeds and enjoy right away! I found the P.F. 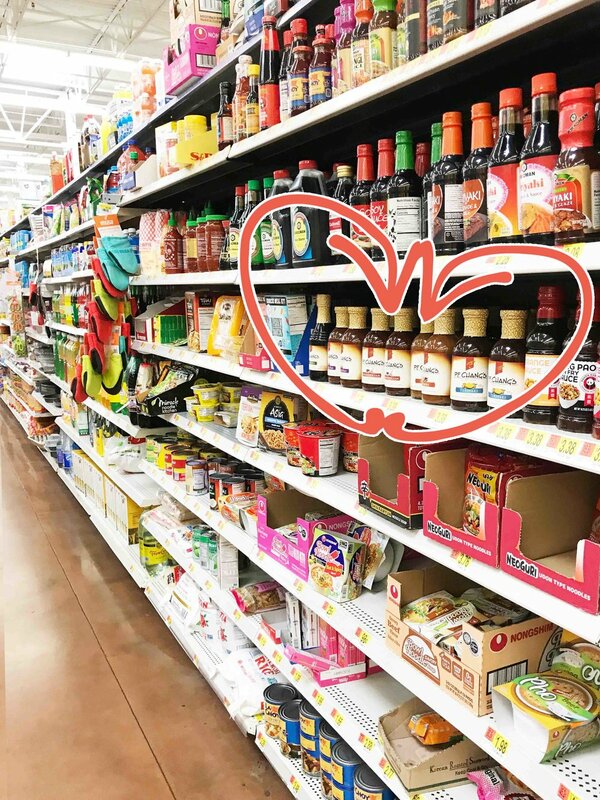 Chang's® Home Menu sauces in the Asian aisle at my local Walmart. They had the original existing and new sauces; Teriyaki, Kung Pao, Sesame + Soy or Mongolian.